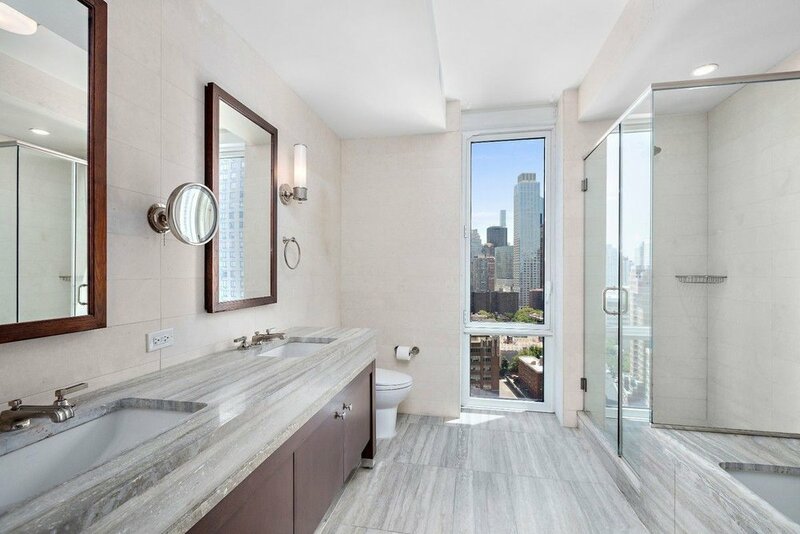 Luxury living in Lincoln Center! This stunning 3 bedroom, 3.5 bathroom home is a dream come true! 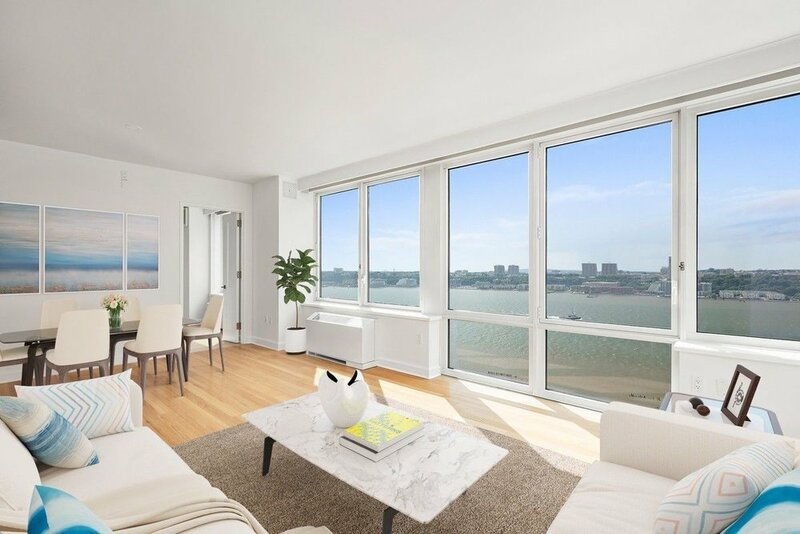 Gorgeous, expansive corner windows bring in ample natural light throughout the space, and offer iconic city and unobstructed panoramic Hudson River views through northern, western and eastern exposures. Genuine oak flooring covers the entire apartment. 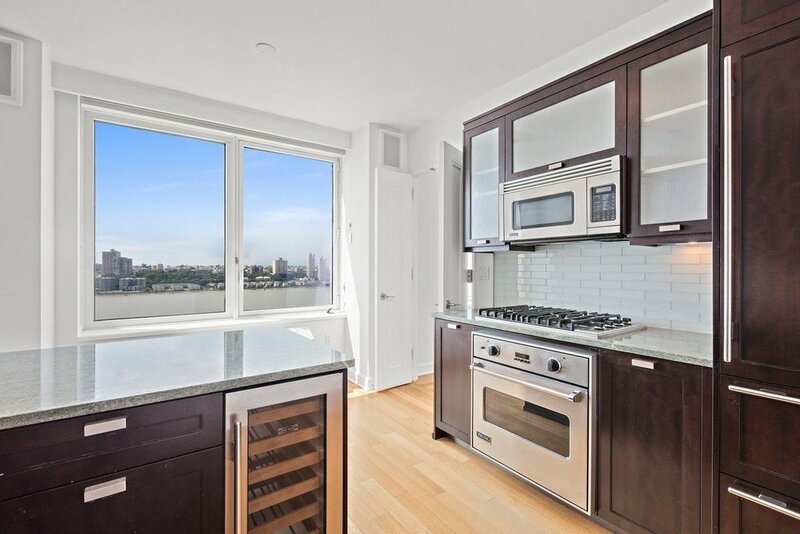 The eat-in kitchen features Subzero, Viking and Miele stainless steel appliances, as well as a built in wine cooler. Enhancing the home's sense of luxury is the Crestron A/V home automation system installed throughout the apartment, controlling the unit's curtains, shades, lighting and audio. The master suite features a spacious walk-in closet and windowed master bath with a double vanity, deep soaking tub and a separate shower stall. The home's two other bedrooms also each have their own private bathrooms and a fourth half-bathroom functions as a spare for guests. All feature waterworks fixtures. The unit also includes in-home brand new washer/dryer, and dishwasher. 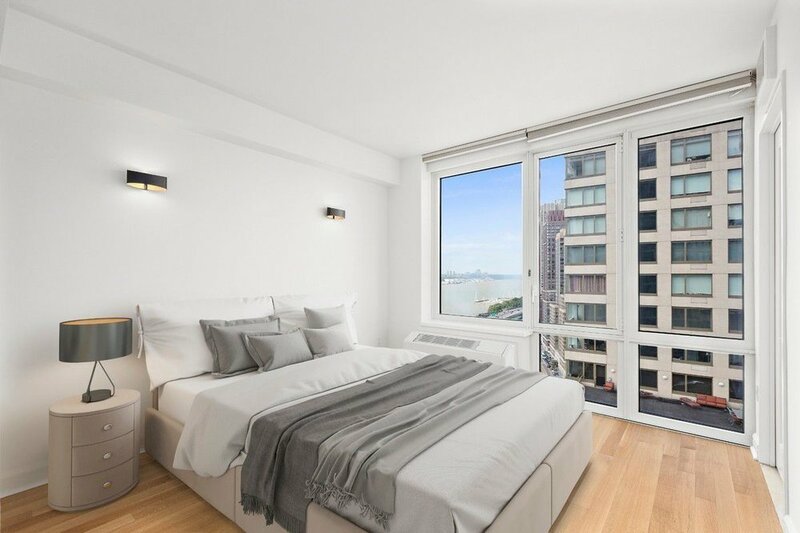 This apartment offers privacy and exclusivity with secured access, and there are only two residences on the floor. The Rushmore offers its residents all the hallmarks of plush luxury living. 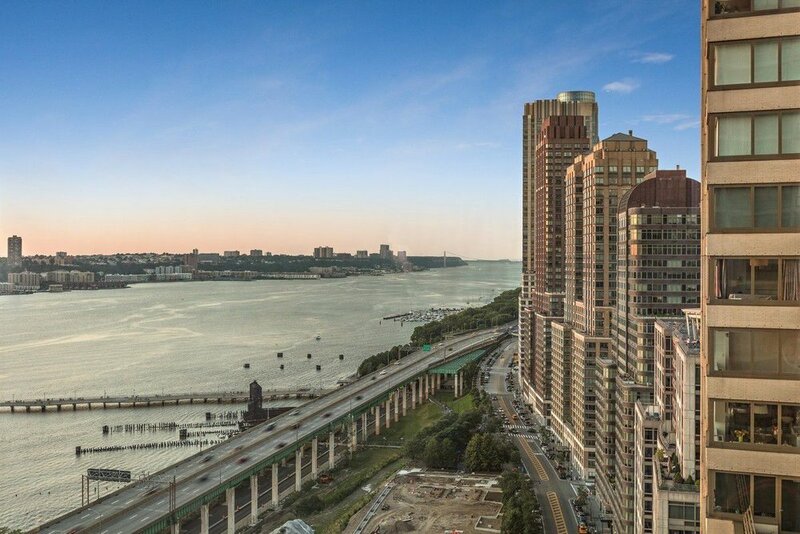 Residents can enjoy personalized concierge service, a spectacular wellness center with indoor swimming pool, a kid's playroom, a parking garage, screening and billiards room, garden lounge, and rooftop sundeck. 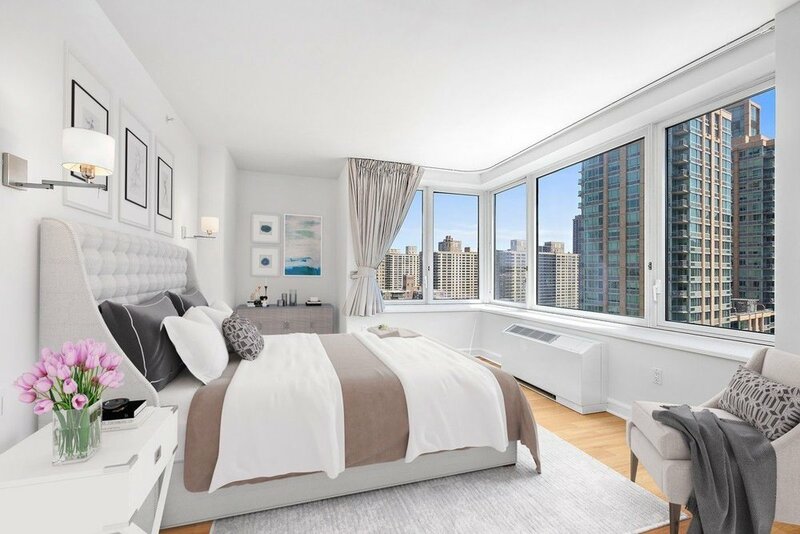 The Rushmore is located near one of New York's most important cultural treasures, Lincoln Center, featuring the Metropolitan Opera House and the New York Philharmonic, among other prestigious institutions.